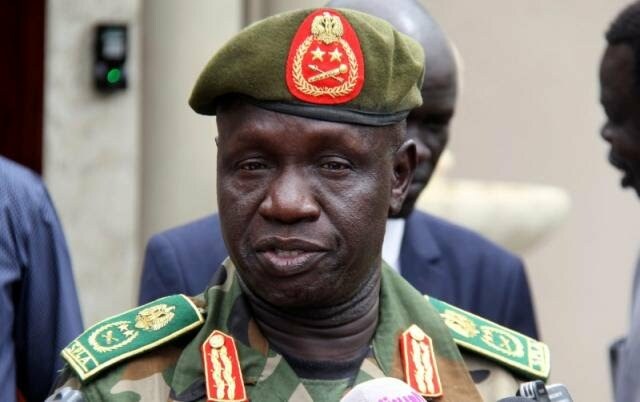 South Sudan’s army chief of defence forces, General James Mawut Ajonga has died after months of ailment. Presidential spokesman Ateny Wek Ateny said the president received the news of the passing away of the army chief of staff of defence with shock, declaring three days of mourning with the national flag flown at half-mast. 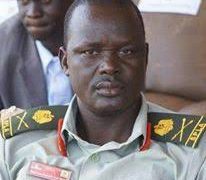 “It is with deep sorrow and utter shock to announce to the South Sudanese the passing of a great hero of all times, a friend of mine, my school mate and brother-in-law, Gen. James Ajonga Mawut Unguec Ajonga. He passed away this morning at 4:30am (Friday April 20, 2018) at the Egyptian Military Hospital in Cairo. The President had declared 3 days mourning and the flag would be flown half-mast,” announced Ateny Wek Ateny, spokesman of South Sudan president Salva Kiir. Ateny said preparations to return the body to the country are underway.